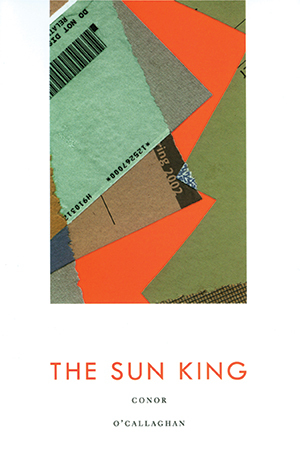 Conor O’Callaghan’s The Sun King is a rich volume that immediately stuns the reader with its seamless interweaving of a contemporary idiom—the language of here and now—with a lyricism that reaches us through strata of literary history. O’Callaghan is capable of combining high and low registers in a way that very few writers are, seemingly without strain. He revels in history and contemporaneity, the high and the low, without feeling compelled to make a choice between them, or at least to choose between the identity of elegist for a bygone world or celebrant of the new. O’Callaghan is both. He rarely indulges in plangency and is as sparing with his emotional effects as he is generous with his melodic and rhythmic effects. The occasional self-reflexive gestures in these poems are clever, fun, and avoid ponderousness. Time itself, as in so much modern poetry, is a topic of fascination and bewilderment; but O’Callaghan is a virtuoso poet, and his temporalities are also virtuosic, twinkling out of sight behind tales half-imagined and half-true, or proving themselves malleable to the poet’s hands: as he writes, “This world . 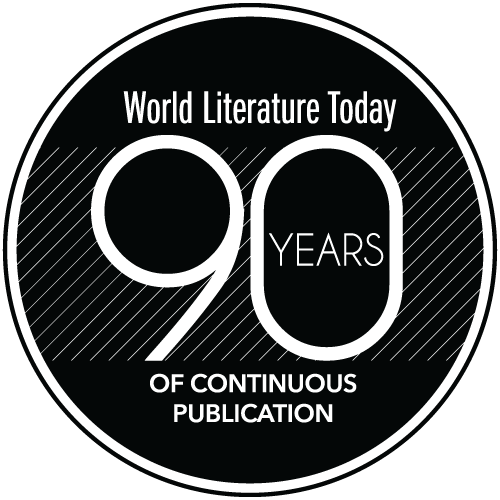 . . We get older & find it less hard.” The world’s laws—of temporality, of gravity, of identity—are not so steadfast or “hard” as we may assume; in Seamus Heaney’s words, whatever is given can always be reimagined. O’Callaghan takes this dictum to heart. We catch ourselves wondering if his reality is simply more interesting than ours and feel eager to experience this superabundance of sounds, sights, events, emotions, among which the poet lives. We may also recall the glee of a very different poet, Louis MacNeice, at the drunkenness of things being various. O’Callaghan’s project is different from MacNeice’s, but the exuberance of the poet’s intonation, parallel to the profusion of stimuli and emotions that the outside world presses upon him, recalls this predecessor. O’Callaghan’s tongue-in-cheek moments, though, are purely his own, as a quickly sketched tableau ends with a riddle: “I lie to myself: / they’re not metaphors. / They are not metaphors.” What assumptions do we bring to a poetry that seems to rely so heavily upon event and image rather than metaphorical conceit? Is there a way of playing with metaphor so that, magically, both literal and figurative readings are balanced upon the tip of the poet’s pen? Conor O’Callaghan proves it possible in this rich and radiant collection of poems. Alberto Moravia. Michael F. Moore, tr. 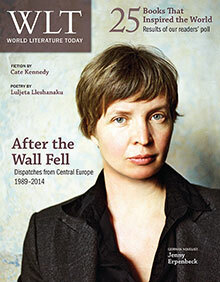 After the Wall Fell: Dispatches from Central Europe (1989–2014), commemorating the 25th anniversary of the fall of the Berlin Wall, headlines the November 2014 issue.